In a big city like Chicago, new developments need a unique identity to avoid getting lost in the hustle and bustle. When the rare opportunity came to create a new residential city block, Nicholas Stocking, principal at Chicago-based design/development firm Stocking Urban, jumped at the chance to do something different. 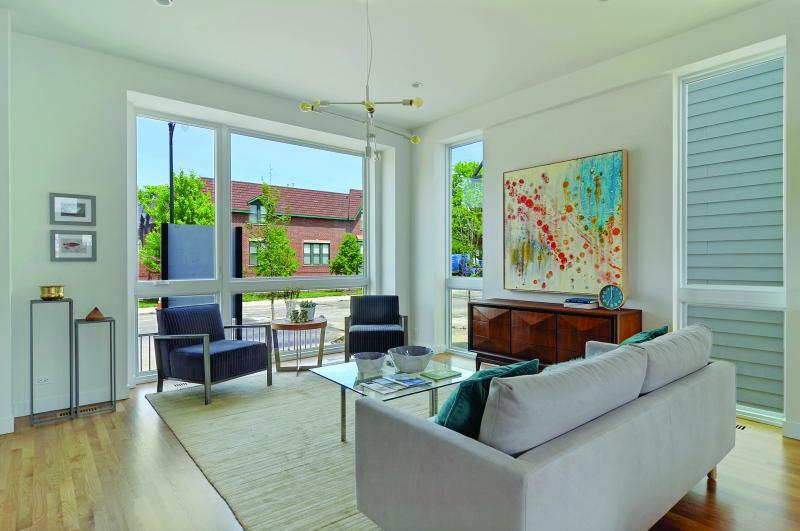 Basecamp SFH is a community of 48 new single-family homes in Chicago’s Old Irving Park neighborhood, built on the site of a former football helmet factory that had been vacant for more than 20 years. After another owner struggled to develop the property during the economic downturn, Stocking bought the site in 2015. “[The neighborhood was] very enthusiastic,” Stocking says. “They wanted something built here." 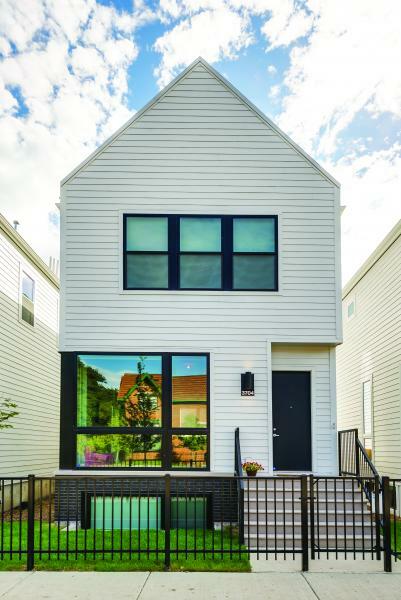 The project’s distinctive identifier: white HardiePlank lap siding from James Hardie, which clads each home and garage, giving the community a strikingly clean, contemporary look unlike anything else in the area. 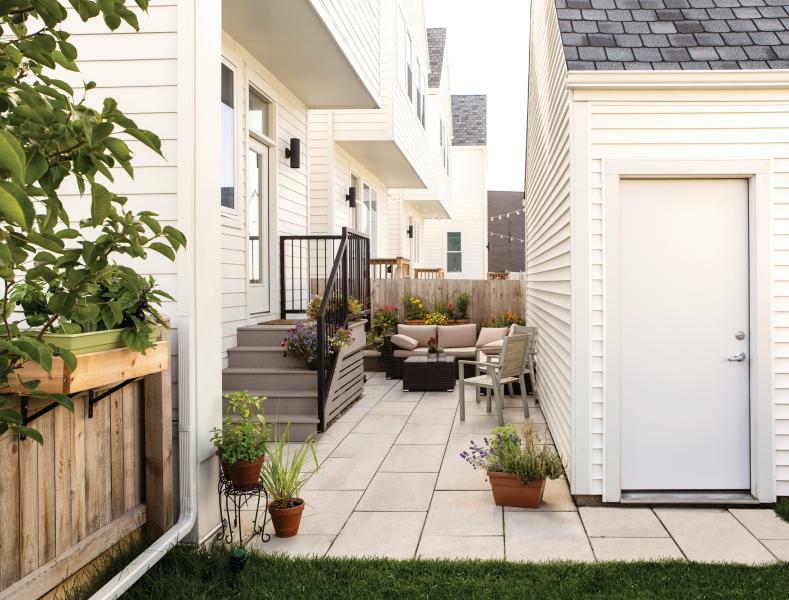 The 1,900- and 2,300-square-foot homes are sited relatively close to one another, but the monochromatic siding keeps the façades from appearing cluttered. Project architect George Pappageorge, FAIA, has been using James Hardie products for more than 10 years and specified HardiePlank for its durability. ColorPlus technology ensures that the product's bright white, which characterizes the development, won't fade, chip, or crack. The siding is also rot-, fire-, and pest-resistant, according to the manufacturer, reducing maintenance. The homes’ exteriors affect the nature of the inside spaces as well. The reflective white of the surrounding buildings, plus oversize windows and vaulted ceilings, capitalize on natural light, giving each room an open feeling despite the inclusion of an impressive four or five bedrooms. Basecamp homes, developed in partnership with Chicago’s Ranquist Development Group, were also built with an eye toward sustainability. The small footprints reduce energy consumption and materials impact, while products throughout were chosen for their green characteristics. James Hardie’s fiber-cement siding uses recycled content and is low-VOC. “Sustainability sells,” Stocking says, noting that this is especially true for his primarily Millennial customer.